Born deaf, 29-year-old Ruth is a singer and has a passion for music. 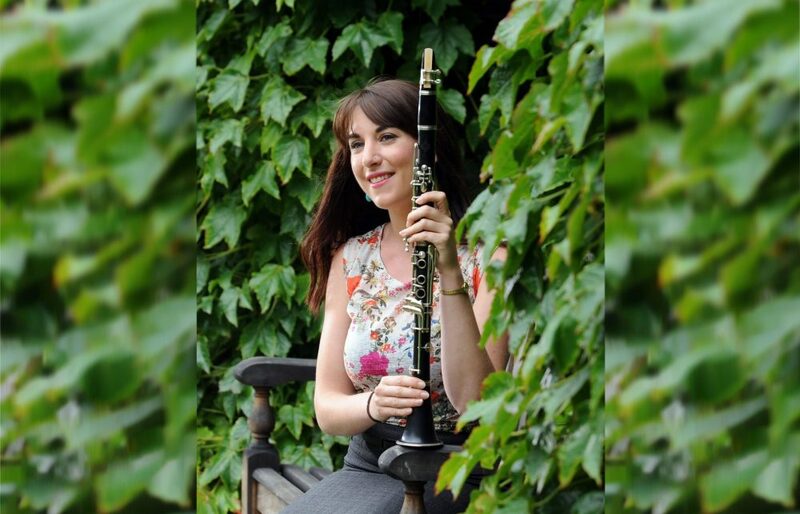 Despite the barriers of hearing loss, Ruth began learning the clarinet at 8-years-old while using high-powered hearing aids. After hearing aids weren’t giving her the performance she needed, Ruth got her first CI at 13 years old. Ten years later at 23 years old, she got her second CI. In this post, Ruth shares how each of her CIs has taken her another step closer to achieving her music ambitions. Thanks for chatting with us, Ruth! Firstly, how did you come to play the clarinet? Despite my hearing loss, I wanted to play a musical instrument when I was younger. My mom researched the best instruments for a profoundly deaf person to play, and we decided on the clarinet because of the amount of vibration. I started playing the clarinet at age eight while using hearing aids. I had to develop a very good sense of timing for playing the clarinet, particularly when playing in the orchestra as I couldn’t hear the other instruments around me very well. Being able to play the clarinet is a skill that has brought me much joy and pleasure throughout my life. What was the experience like getting your first CI? Getting my first implant was very strange. I was totally unprepared for how unfamiliar the familiar noises would sound, such as my parents’ voices or the vacuum cleaner. After each audio processor mapping session, I would listen to my favorite song—an old jazz tune called “All The Things You Are”. I would use that as an indicator to see how much my hearing had changed. When the song sounded the same as before my CI, I knew I had adjusted. I also had some very funny experiences—I remember once telling my best female friend that she sounded like a man. Luckily she wasn’t offended! I was also surprised at all the noises that I could hear for the first time, like the indicator ticking in the car and paper rustling. How did your second CI affect you in your musical pursuits? I’ve always wanted to learn to sing. By having two cochlear implants, I am now able to hear pitch much more accurately. I really value this enhancement to my hearing as it has allowed me to pursue musical dreams that I’ve had for many years. This includes learning to sing and going back to clarinet lessons in my twenties so that I can finish my exams. These days, since getting my second CI, my improved hearing allows me to appreciate the music in full, for example being able to hear a piano accompanist. My experience of listening to music has also improved. For example, when listening to a piece of music, I can pick out different instrumental lines far more accurately and easily than I could with only one implant. It’s pretty incredible. Why do I love music? Just like anyone, it brings me happiness, pleasure, challenge, stimulation, emotional connection, and consolation. I know that I appreciate music far more now that I have two cochlear implants simply because I can hear so much more clearly. What strategies did you use to learn to sing and appreciate music? In regards to singing, I use a keyboard and a tuning app to help me to pitch my voice. On Android I use DaTuner, and on Apple I use Cleartune. They are very simple—just sing a note and it will tell you what it is. I also make lots of recordings of myself singing and re-listen through headphones. I rely on the memory of how something should sound in order to pitch accurately. For anyone with a CI wanting to learn to appreciate music with their new device, my first piece of advice would be to listen to lots of varieties of music. I’ve always enjoyed listening to a wide array of music—rock and metal when I was a teenager, and then blues, jazz, classical, opera as I got older. Also know that technology is your friend—use a service like Spotify to create playlists and experiment. Be persistent—do a little every day, but be patient and know your limits. You’re involved as a mentor in the HearPeers Mentor Programme in the UK. Why do you want to help others with hearing loss? Quite simply, I want to share my story. I think that I have a lot of experience in engaging with music with a CI, and technological solutions to help with this. I’d love to help anybody else who has questions about these areas, or anything else to do with hearing loss or having a cochlear implant. I found, and continue to find, talking to deaf peers extremely valuable and it reminds me that I am not alone. I’ve also met some incredible and inspirational people through sharing experiences of hearing loss. Do you want to improve your experience of listening to music? Find out top ten tips for music appreciation from Keri, a bilateral CI recipient. Subscribe to the MED-EL Blog by entering your email below to receive guest stories just like this sent straight to your inbox weekly!